There was a time when numerous Canadians retired from the jobs when they hit the age of 65. This was something that happened whether they were ready to retire or not. Unfortunately, this is the way that things were since most people worked for the same company for the majority of their working years. Once they retired, the company would throw them a nice party on their last day, government benefits as well as employer pensions would kick in right away and retirees were set for a life of golfing and grandkids. However, that retirement notion has been tossed out the window, as things are much different these days. In today’s world, Canadians have the ability to retire from their full time jobs at some point while they are in their early 60’s. However, the new form of retirement now appears in several forms. While it is still likely to include golfing and grandkids, it now also features things such as traveling, volunteering and part-time jobs. There are ways in which you can start saving for retirement at any age. Of course, the older you are when you start saving, you may find it harder to struggle to save. The earlier you start saving for your retirement, the better. Saving for Retirement in Your 20’s One of the best times for you to start saving for your retirement is when you are in your early 20’s. While the majority of 20-something year olds are certainly not thinking about retirement, it also does not mean that you can just waste away the green stuff either. This age bracket, unbelievably, is probably going to be the one where you have the least responsibility and the most freedom. That is because you are likely still living at home during these formidable years. Here are some great ways you can save during this decade. Start a change jar- Unbelievably, a penny here and a dime here can really add up over the course of time. The point of starting and adding to a change jar is to develop the discipline of having your own private stash of change to add to your retirement fund. Control your spending habits- There is little doubt that you will save more if you spend less. This doesn’t mean you need to go without food or electric to save money but it does mean you should cut back on things that are not really needed like entertainment and alcohol. It also means improving your credit score so you pay less interest on things like vehicles. Retirement before college fund- Most folks in their 30’s have started a family which means they want to start saving for their kids’ college needs as soon as possible. While this is a great idea, you need to ensure that your retirement fund is in place first. Why? There are several other ways, which can pay for college such as internships, work-study, summer jobs, loans, scholarships and grants. However, none of these will fund your retirement. Stocks are a great option- While you may not think that this is the best time to invest in the stock market, it never looks like the ideal time to invest in it. The great thing is that you still have about three decades left to allow compounding as well as dollar-cost averaging work wonders. While there are no guarantees in the stock market world, you may be surprised at how well you do. If you are just starting to save for retirement now, you may have to work a bit harder than if you had start a decade or more ago. Most financial planners will recommend that if you start saving for retirement in your 20’s and 30’s, you should save a minimum of 10% of what your yearly salary be. For example, if you are age 45 now and you started saving when you were age 25, your yearly income is $40,000, and you would save $4,000 each year at 10%. Over the course of 20 years, that is a 20-year savings of $80,000. However, if you are 45 now and you started saving 5 years ago at the age of 40, still with the same $40,000 a year income at 10%, that would be $20,000 saved over 5 years. While $20,000 is not a bad place to start, it is $60,000 less than you would have had you started at age 25. Cut back hard on other expenses- Since you are starting later in life to save for retirement, you may have to tighten the reins on other expenses. One of the best ways to do this is to create a budget and see where you spend the most money that is not a necessity. Groceries are a huge part of people’s budgets so make a list when you go to the store and stick to that list. Also, use coupons and compare prices on food and other household items. Brown bag your lunch instead of heading to the local deli on your lunch hour. Purchase items used instead of new. Walk or ride your bike to school or work. Bring on the money experts- At this point and time, you may want to consult with a financial professional to ensure you are on track with your retirement saving goals. Consider invisible blessings- You may want to think about what other options are available to you upon retirement besides retirement accounts. The two most common ones are the Canada Pension Plan, or the Quebec Pension Plan and Old Age Security. If you have worked your adult life in Canada, you should be eligible for either the Canada Pension Plan or Quebec Pension Plan. For the Old Age Security, you may be eligible for three types. The Guaranteed Income Supplement is designed for low-income Canadian residents. Allowance is for those ages 60-64 whose spouse received Guaranteed Income Supplement and Allowance for the Survivor is for those who are ages 60-64 and widowed. Boost your savings- There is really no reason to fret if you are 50 and just started saving for retirement. I hope that by now you have paid off your home and vehicles so you can start saving and saving hard. Therefore, the best way to do this is to take the money that you would have spent on automobile payments and mortgages and put that amount towards retirement. Be flexible- This is especially true when the economic climate becomes rather dismal. Being flexible means cutting back on things you may not need at this point. For instance, maybe you can get away with having just one family vehicle instead of two or three. If the kids have all moved away and are on their own, sell your home and move somewhere you feel is more affordable and not so big. Instead of eating out in restaurants twice a week, try cutting it down to once a week or even twice a month. Any way that you can cut expenses is going to help you save for retirement in the end. Places to Save for Retirement If you live in Canada, you have three main ways in which you can save for your retirement years. 1. 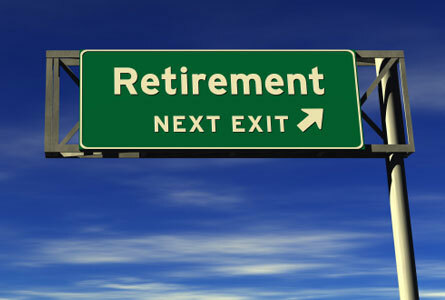 Pension Plans- Pension plans are offered through your place of employment. Your employer may or may not offer this type of plan. There are two types of pensions and those are Defined Benefit Plans and Defined Contribution Plans. 2. RRSP- RRSP stands for Registered Retirement Savings Plans. These are extremely popular throughout Canada. Registered Retirement Savings Plans are commonly used because there are two major tax benefits associated with them. The first tax benefit is that you are eligible for a tax deduction when you add money to an RRSP and the second tax benefit is the benefit of tax-deferred growth. 3. Tax Free Savings Accounts- TSFA, or Tax Free Savings Accounts, have been in existence since 2009. These types of accounts are increasingly growing in popularity since its inception. Many people choose to use the TSFA along with the RRSP because very little folks have the ability to leave money in the TSFA account for retirement without touching it. No matter what age you are, it is not too early, or even to late, to start saving for your retirement years. The rule of thumb though is the early you start retirement savings, the better. One important thing to remember is that even though you may have hit a few bumps in the road along the way to retirement, happiness is more important than any amount of money will ever be. As long as you have a roof over your head, food on the table and your bills are paid, isn’t that really what is important when it comes to retirement?